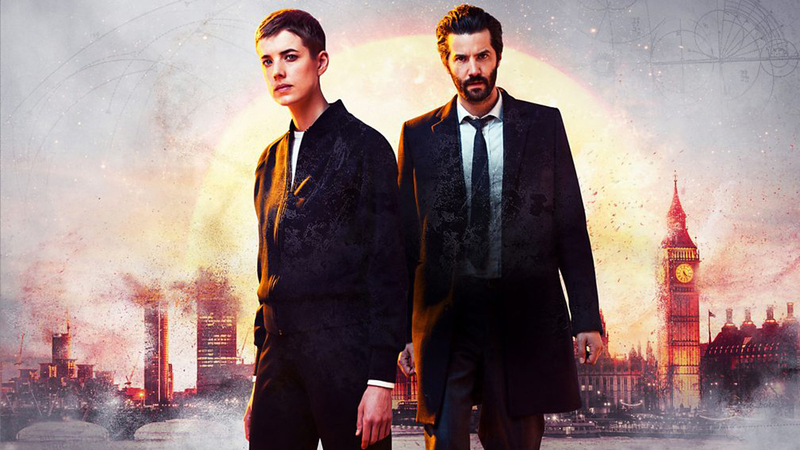 On March 7, the Hulu streaming series Hard Sun will debut online. This pre-apocalyptic crime drama is set in contemporary London, focusing on two mismatched police officers, Charlie Hicks (Jim Sturgess) and Elaine Renko (Agyness Deyn) who, whilst investigating what appears to be the routine death of a hacker in London, stumble upon proof that due to a mysterious cosmic event, the world is facing certain destruction in five years, a fact the powers-that-be would very much like to keep under wraps. 1. 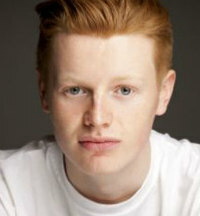 Ian Kenny – This British actor first got noticed in last year’s acclaimed musical coming-of-age comedy-drama Sing Street; but it will be his next film role that will get a lot of attention. He will be starring in Solo: A Star Wars Story that will star Alden Enrenreich as young Han Solo and Donald Glover as young Lando Calrissian as well as Emilia Clarke, Woody Harrelson, Thandie Newon and Paul Bettany. 2. 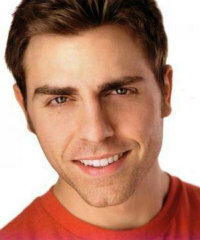 Colt Prattes – This Georgia hunk with abs-to-die-for took on the tough role of Johnny Castle in the small screen adaptation of Dirty Dancing, which aired earlier this year; and he will next be seen in the Sundance Now dramedy This Close, starring alongside Marlee Matlin, Cheryl Hines and Zach Gilford. 3. Milana Vayntrub – Anyone who has seen a TV commercial for AT&T will recognize Milana as the spokesperson for the mobile service provider, but she got attention for her recurring role on This Is Us last season. Her newest role will be as Doreen Green aka Squirrel Girl in the live-action Freeform comedy Marvel’s New Warriors. 4. Keala Settle – Keala is a Tony nominee-powerhouse singer and actress who has appeared on stage in productions of Priscilla, the Queen of the Desert, Les Miserables, Waitress, Hairspray and South Pacific; but it will be her role as the Bearded Lady in this month’s The Greatest Showman alongside Hugh Jackman, Zac Efron, Zendaya and Michelle Williams that will put him on the map. 5. Kathryn Newton – Included on Kathryn’s resume are roles in the TV shows Big Little Lies, Supernatural and Halt & Catch Fire, but it will be her turn in the Supernatural spin-off series Wayward Sisters and the BBC adaptation of Little Women that will get her noticed. Her film roles this year have included Three Billboards Outside Ebbing, Missouri and Lady Bird, and she has also been cast in the box office film Ben Is Back alongside Julia Roberts. 6. Margaret Qualley – Margaret is the daughter of model-actress Andie MacDowell. She has appeared in recently-ended HBO series The Leftovers and the box office film The Nice Guys. She has been turning heads with her performance as an aspiring nun in the acclaimed film Novitiate as well as the festival hit Sidney Hall. She has five other productions in the works too. 7. 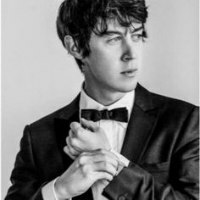 Alex Sharp – The Juilliard alum and Tony Award-winning English actor, got his big break in the Marti Noxon-directed film To the Bone, playing Luke, the charming dancer with an eating disorder who was quite a scene stealer. He will be seen in next year’s Nasty Women [a remake of the 1988 Dirty Rotten Scoundrels] alongside Anne Hathaway and Rebel Wilson as well as UFO, with David Strathairn; and Monumental, with Maria Bello and Jeremy Irons. 8. 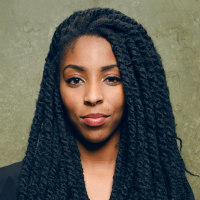 Jessica Williams – This comedian-actress was a correspondent on The Daily Show and had a small role in the film Delivery Man and as herself in Hot Tub Time Machine 2; but it was her turn in the Netflix film The Incredible Jessica James that has gotten her attention. She has also joined the cast of the anticipated sequel Fantastic Beasts: The Crimes of Grindelwald. 9. 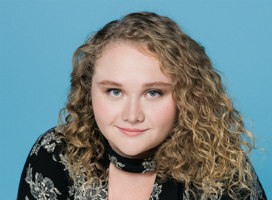 Danielle Macdonald – This Australian actress surprised everyone with her amazing “Joisey” accent in the Cinderella-like film Patti Cake$ about an aspiring rapper, and she had a role in the critics favorite film Lady Bird. She also has some high-profile roles coming up, including the film Bird Box, with Sandra Bullock and Sarah Paulson; Paradise Hills, with Emma Roberts and Dumplin’ with Jennifer Aniston. 10. 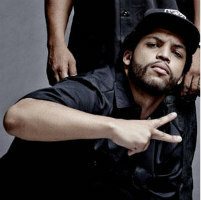 O’Shea Jackson Jr. – O’Shea is the look-alike son of actor-rapper Ice Cube who played his father in the hit film Straight Outta Compton; and can be seen in this year’s buzzed-about film Ingrid Goes West, starring alongside Aubrey Plaza. 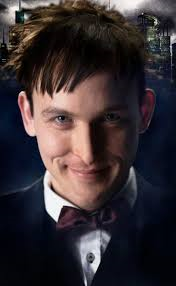 He has four upcoming projects, including Last Friday, starring alongside his dad, Nia Long, Kevin Hart and Chris Tucker; Den of Thieves, with Gerard Butler and Pablo Schreiber; Flarsky, with Charlize Theron and Andy Serkis; and Godzilla: King of Monsters, with Sally Hawkins, Millie Bobby Brown, Vera Farmiga and Bradley Whitford. Much like the Faces of 2015, there are always entertainers of note to be on the look-out for in the new year or those who made great waves throughout the current year who will, undoubtedly, be big stars in the new year. 1. Sarah Hay – Sarah was virtually plucked from obscurity for the lead role of Claire Robbins in the Starz ballet drama Flesh and Bone. Sarah began her ballet training at the School of American Ballet at the tender age of 8. She later attended the Jacqueline Kennedy Onassis School of Ballet at the American Ballet Theatre. 2. 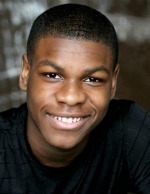 John Boyega – John can be seen in the role of Finn in the much buzzed about sequel Star Wars: The Force Awakens that just came out in the theatres on December 18. 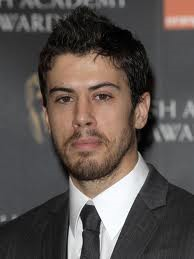 His prior credits include 24: Live Another Day and the independent UK film Attack the Block. He will next be seen in the box office film The Circle alongside Emma Watson, Tom Hanks, Karen Gillan, Bill Paxton and Patton Oswalt. 3. Maika Monroe – Maika got her big break in the box office film Labor Day alongside Kate Winslet and Josh Brolin. She then starred alongside Downton Abbey alum Dan Stevens in the 2014 box office film The Guest and followed that up with a role in the horror flick It Follows. Her next roles will be in the sci-fi-themed box office movies The 5th Wave (based on the book of the same name) that stars Chloe Grace Moretz and Independence Day: Resurgence. 4. 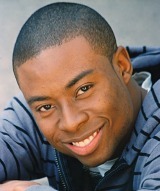 Justin Hires – In 2007, Justin had a role in the box office film Stomp the Yard and then in 2012, he had a role in the box office adaptation of 21 Jump Street that starred Jonah Hill and Channing Tatum. 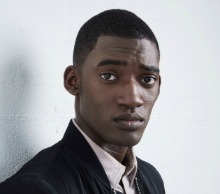 But it will be his role in the small screen adaptation of Rush Hour that is set to air on CBS at some point in 2016, that will assuredly get his attention. 5. Chris Woods – Chris has been a mainstay with The CW over the last couple of years, starring in the short-lived The Carrie Diaries and then playing villain Kai Parker on The Vampire Diaries. 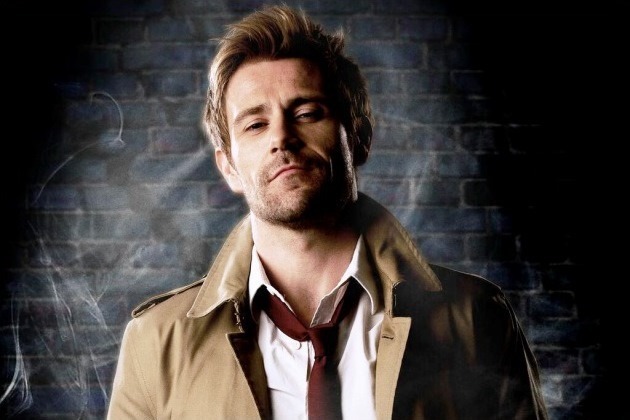 It will be his turn as Jake Riley in the apocalyptic series Containment, set to air in early 2016, that will, more than likely, turn heads. 6. 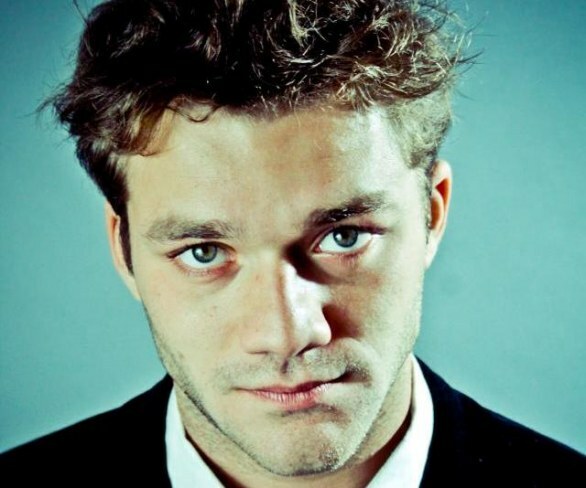 Rod Paradot – Rod, a teen newcomer, who had never acted before in his life, became the first major breakout star of this year’s Cannes Film Festival for the French film La Tete Haute (aka Standing Tall) where he played a deeply troubled 15-year-old from a troubled home and starred alongside legendary French beauty Catherine Deneuve. 7. 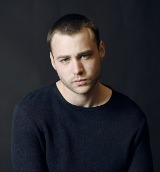 Emory Cohen – He is turning heads in the much-buzzed-about box office film Brooklyn where he stars with Saoirse Ronan, but some TV viewers may recognize him from his role of Leo Houston in the NBC musical-drama Smash. 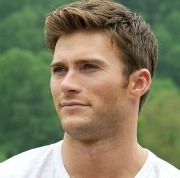 His other credits include The Place Beyond the Pines and Beneath the Harvest Sky. 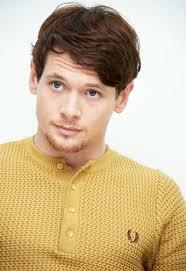 He has 6 upcoming projects including By Way of Helena with Liam Hemsworth and War Machine with Brad Pitt. 8. 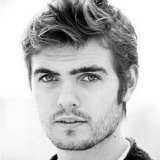 Alex Roe – The British hunk will be seen in the sci-fi-themed box office film The 5th Wave (based on the book) where he will star alongside Chloe Grace Moretz and Liev Schreiber, but he will also be seen in the long-in-the-waiting, upcoming remake Rings that will also star Johnny Galecki, Aimee Teegarden and Zach Roerig. 9. Shanice Williams – This 18-year-old New Jersey native landed the plum role (being selected out of hundreds of applicants in a nationwide audition) of Dorothy Gale in the NBC production of The Wiz Live! that aired on NBC earlier this month. 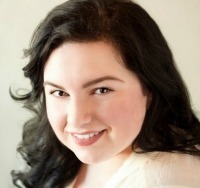 She has co-starred in local productions of West Side Story, You’re a Good Man Charlie Brown, 42nd Street, Seussical and Pippin. 10. 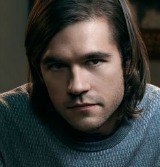 Jason Ralph – In 2016, viewers of the upcoming Syfy series The Magicians – based on the novel of the same name by Lev Grossman about a secret institution specializing in magic – will see Jason play the lead role of Quentin Coldwater. 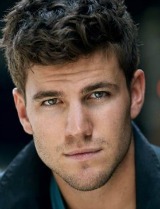 His prior credits include the David Duchovny series Aquarius and the CBS hit series Madam Secretary. 11. – 15. Cast of Shadownhunters – The ABC Family (soon to be FreeForm) series, based on the book series The Mortal Instruments by Cassandra Clare, is set to debut on January 12. 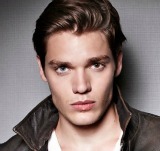 The main cast includes Katherine McNamara, Dominic Sherwood, Emeraude Toubia, Matthew Daddario and Alberto Rosende. Katherine McNamara will play the lead role of Clary Fray. She has appeared in episodes of Drop Dead Diva, Touch, Unforgettable, Glee and CSI as well as a lead role in the short-lived MTV series Happyland and a short recurring role in The Fosters. She also starred in the box office film Maze Runner: The Scorch Trials. Emeraude Toubia will play Isabelle Lightwood. This Canadian-born but Texas-raised beauty was selected to participate in the Univision reality show/beauty pageant Nuestra Belleza Latina and has appeared in numerous commercials and ad campaigns as a model. This is her first major TV role. 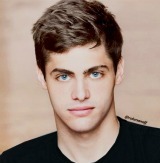 Matthew Daddario will play Alec Lightwood. He has appeared in the box office films Delivery Man with Vince Vaughn and When the Game Stands Tall with Jim Caviezel and Michael Chiklis. 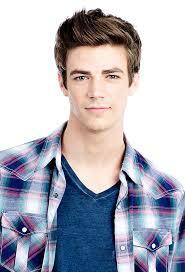 His older sister is Alexandra Daddario from White Collar, San Andreas and the Percy Jackson films. 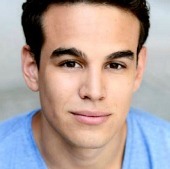 Alberto Rosende will play Simon Lewis. Alberto is a South Florida native who is a newcomer to the small screen, having appeared in one episode of Blue Bloods prior to landing this role. 16. to 18. Cast of The Shannara Chronicles – The MTV drama is based on the legendary book series by Terry Brooks that blends magic and primitive technology on an Earth long after civilization was destroyed in a chemical and nuclear holocaust. 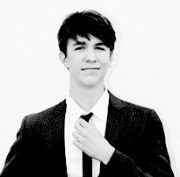 The three lead roles are played by Ivana Baquero, Austin Butler and Poppy Drayton. Ivana Baquero will play Eretria. This Spanish beauty has a number of foreign films on her resume as well as appearing in the Guillermo del Toro box office film Pan’s Labyrinth. Austin Butler will play Wil Ohmsford. 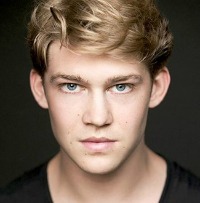 TV viewers will recognize him from his roles in Zoey 101, Ruby & the Rockits, Life Unexpected, Switched at Birth, The Carrie Diaries and Arrow. Poppy Drayton will play Amberle Elessedil. She appeared in the made-for-TV movie When Calls the Heart (upon which the Hallmark Channel TV series is centered and based on the Janette Oke books) and the beloved PBS drama Downton Abbey. Are there any actors or actresses who you think are the faces to watch in 2016? Please share. Caitriona Balfe and Sam Heughan – Relative newcomers Caitriona and Sam landed the lead roles in the highly anticipated Outlander series based on the international best-selling novel of the same name by Diana Gabaldon. Caitriona got her start as a runway model before landing small roles in the box office films Super 8 and Now You See Me as well as the online series H+. Meanwhile, Sam appeared in the Hallmark Channel movie A Princess for Christmas (with his naturally short blonde hair), the made-for-TV movie Any Human Heart and the British medical soap opera Doctors. Adele Exarchopoulos – This French actress, who got her start at the tender age of 12, really burst onto the scene in the acclaimed foreign film Blue Is the Warmest Colour, which earned Golden Globe and BAFTA nominations as well as being heralded as the best film of 2013 by many critics. She will next be seen in the Sean Penn-directed film The Last Face that is set to star Charlize Theron, Javier Bardem and Jean Reno. Lupita Nyong’o – Lupita, of course, won an Oscar this year for her first role (ever) in the acclaimed film 12 Years a Slave; and then starred alongside Liam Neeson in the film Non-Stop. Her voice will be featured in next year’s The Jungle Book and she also landed a role in the highly-coveted Star Wars: Episode VII film. Margot Robbie – Margot was a huge star in her native Australia by starring in the soap opera Neighbours, but she was first noticed by an American audience in the short-lived drama Pan Am and then the film The Wolf of Wall Street. She has a lot of projects coming up including Suite Francaise with Michelle Williams, Focus with Will Smith, Z for Zachariah with Chris Pine and Chiwetel Ejiofor, Tarzan with Alexandar Skarsgard and Samuel L. Jackson, The Taliban Shuffle with Tina Fey and The Mountain Between Us with Charlie Hunnam. 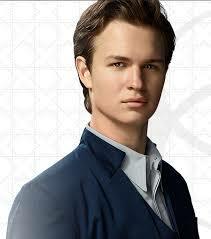 Ansel Elgort – Newcomer Ansel seemed to be all over the place in 2014, appearing in the film adaptation of the Veronica Roth novel Divergent, the film adaptation of the John Green book The Fault in Our Stars and the Jason Reitman film Men, Women & Children. 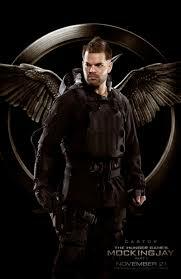 He will next be seen in the Divergent sequel Insurgent. 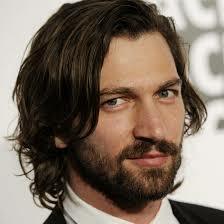 Michiel Huisman – Michiel seemed to be everywhere on TV between appearing in episodes of the ABC music-themed drama Nashville, taking over the role of Daario Naharis on Game of Thrones and showing up in the second season of the acclaimed BBC America drama Orphan Black. He has also been appearing in the latest Chanel No. 5 commercials. 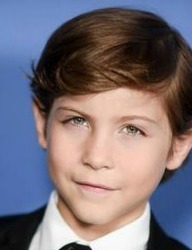 He will be seen in the films The Age of Adaline with Blake Lively and American Dream with Nick Stahl and Luke Bracey. Kathryn Alexandre – No one knows her “real” face, but everyone who has watched just one episode of Orphan Black knows Kathryn’s work. 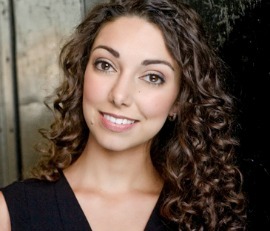 She is the 24-year-old actress who plays alongside Tatiana Maslany as her clone double. She wears the wigs and costumes and plays out the roles of the clones just as well as Tatiana; and deserves to be praised for what she does. Also, viewers who watched closely to the October 16 episode of Reign would have seen Kathryn as Lady Barnard. Charlotte Le Bon and Manish Dayal – Charlotte and Manish appeared in the acclaimed independent film The Hundred-Foot Journey that starred Helen Mirren. Charlotte appeared in the box office movie Yves Saint Laurent and will next be seen The Walk with Joseph Gordon-Levitt, Ben Kingsley and James Badge Dale as well as the upcoming film Bastille Day with Idris Elba and Richard Madden. Meanwhile, Manish appeared in episodes of 90210, Rubicon and Switched at Birth. 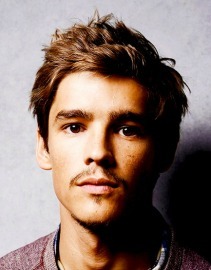 Brenton Thwaites – The Australian actor appeared in a number of films throughout the year, including The Signal with Laurence Fishburne and Olivia Cooke, Maleficient with Angelina Jolie, The Giver with Jeff Bridges and Meryl Streep and Son of a Gun with Ewan McGregor and Alicia Vikander. 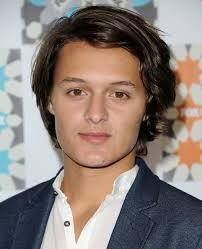 He will next be seen in Gods of Egypt with Gerard Butler, Rufus Sewell, Nikolaj Coster-Waldau and Geoffrey Rush. Jacqueline Toboni – Virtually fresh out of college with a degree in theatre, Jacqueline landed a recurring role in the NBC fairytale drama Grimm, appearing as Theresa Rubel – aka Trubel – a new “Grimm” who arrives in Portland not knowing or really understanding her gift until she meets Detective Nick Burkhardt. Nicola Peltz – Back in 2010, Nicola starred in the much-maligned film The Last Airbender, but three years later she landed a role in the FX drama Bates Motel and then she landed a role in the latest Transformers franchise film alongside Mark Wahlberg, Stanley Tucci and Kelsey Grammer. 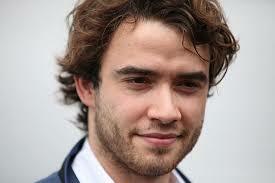 Jamie Blackley – Two years ago, Jamie starred in Snow White and the Huntsman, but it was his roles in this year’s The Fifth Estate alongside Benedict Cumberbatch, Peter Capaldi, Dan Stevens and David Thewlis as well as his lead role in the film adaptation of If I Stay with Chloe Grace Moretz, that got him noticed. He will next be seen in the as-yet untitled Woody Allen film that will star Emma Stone, Joaquin Phoenix and Parker Posey. 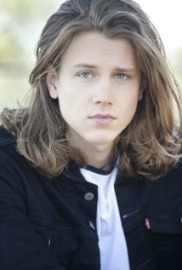 Alex Saxon – Alex is a relative newcomer, who landed a recurring role on the ABC Family drama The Fosters; a role that became a fan favorite. 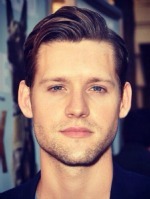 And then not that much later he landed a recurring role on the MTV family drama Finding Carter where his character, once again, became a fan favorite. 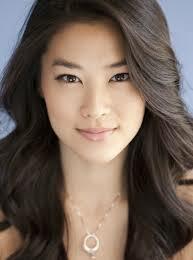 Arden Cho – Arden joined the cast of the MTV thriller Teen Wolf during the latter half of the third season and became a series regular for the show’s fourth season that aired this summer, playing Kira Yukimura. 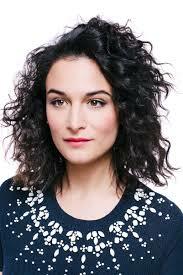 Previously, she appeared in episodes of Castle, Pretty Little Liars, Rizzoli & Isles and CSI: NY. 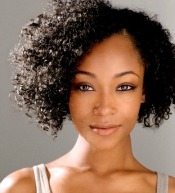 She will next be seen alongside Giancarlo Esposito in the film Stuck.